Lavender Chang, who is one of my mentees, was recently awarded the prestigious Noise Singapore Prize of the photography category. There were more than 7000 entries this year. An initiative of the National Arts Council, Noise Singapore is Singapore’s foremost youth arts festival, dedicated to creating noise about the creative talents of youths below the age of 35 in Singapore. 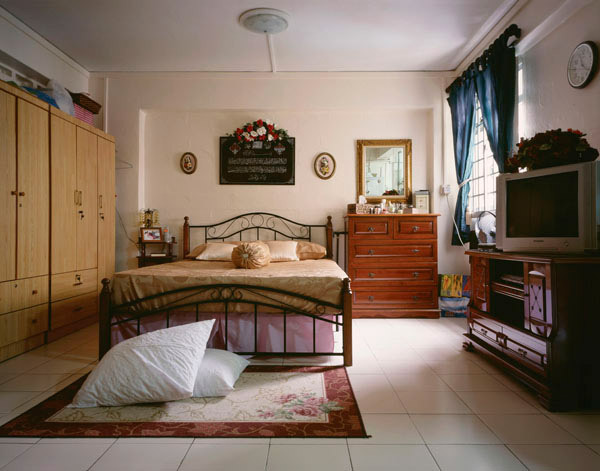 The series consists of images of one-room HDB flats entitled ‘Block 12, My Territory, My Dignity’. They allow people to see how the occupants decorate and organise their homes, which in turn provide insight into their personalities. See the complete series here. Or visit the show at ION Orchard (Basement 4) in Singapore, from now til March 3rd (Thurs).